This is a purchase that I've intended to make for a long time, but wasn't completely desperate; I'd either spend the money on something else or I'd just simply forget about it! However a Lush Lip Scrub has finally made its way into my life after I realised lip balm just wasn't enough to tackle my constantly dry lips. I chose the flavour Mint Julips, which comes in a 25g pot and costs £5.50. According to the world wide web, Mint Julip is the name of an alcohol drink combining bourbon, water, sugar and mint. There's no bourbon in the Mint Julips Lib Scrub, however you do have sugar granules for the scrub, mixed with Peppermint Oil, organic Jojoba Oil, Tagetes Oil and Vanilla Extract. Lush describe it as "mint chocolate (without the chip!)". When I bought the Lush Mint Julips Lip Scrub, I remember thinking that the price seemed quite high for such a small pot. However now I've been using it almost daily for about a month and barely made a dent in the top I've realised that it's actually pretty good value, because it's going to last for ages! You really don't need a lot of product to give the lips a good exfoliate; you can feel the sugar buffing the dryness away without feeling harsh or irritating. Plus if there's any left on the lips when you're done, you can simply eat it - no waste! The Mint Julips scent and flavour is sweet yet refreshing, though I wouldn't say it's very chocolate orientated. This scrub has been my lip saviour since I bought it; in conjunction with a balm, the flaky, dry patches are staying away and my lips are softer and more nourished. 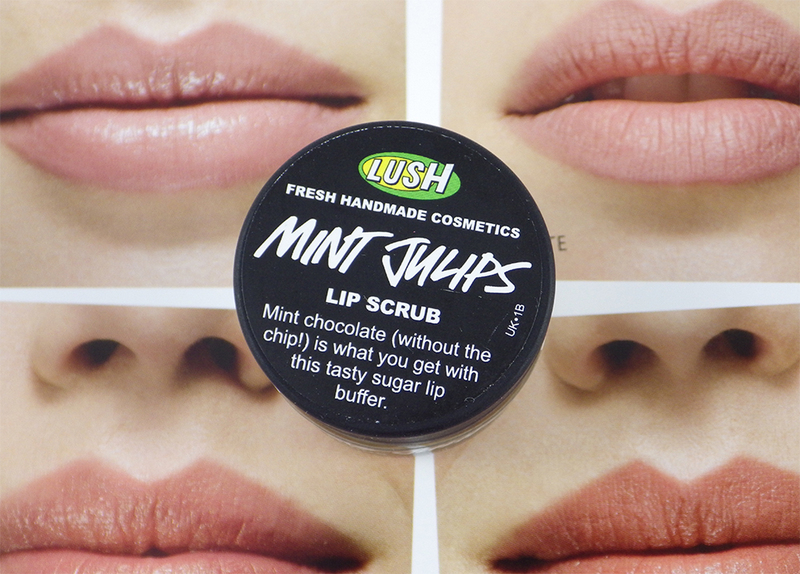 You can take a look at the Lush Mint Julips Lip Scrub in action here. Are you a fan of any of the Lush lip scrubs? I have this one and it's so tasty haha! It works really well and genuinely lasts FOREVER. I have the pink one, whatever scent it is (bubble gum possibly) and I absolutely love it! Unfortunately I have put it in a very safe place and can't remember exactly where that is, so I haven't seen it in a while. This one sounds delicious! I've got the bubblegum flavour and it is my absolute life savour in winter! I used a Lush lip scrub before and really liked it, since I lost it though I haven't used one since. I really should repurchase! 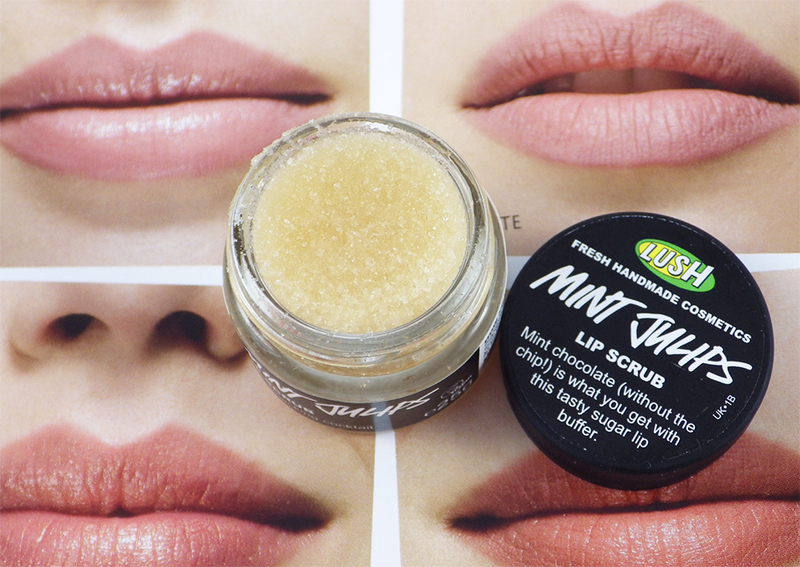 I've tried and absolutely adore Mint Julips lip scrub as well! :) Check out my review on it too?